Happy Sunday zesters! Hope you are all enjoying your summer thus far! To take full advantage of yesterday’s beautiful weather in sunny southern California, the girls in my family thought that it would be best to have a girl day by the pool! 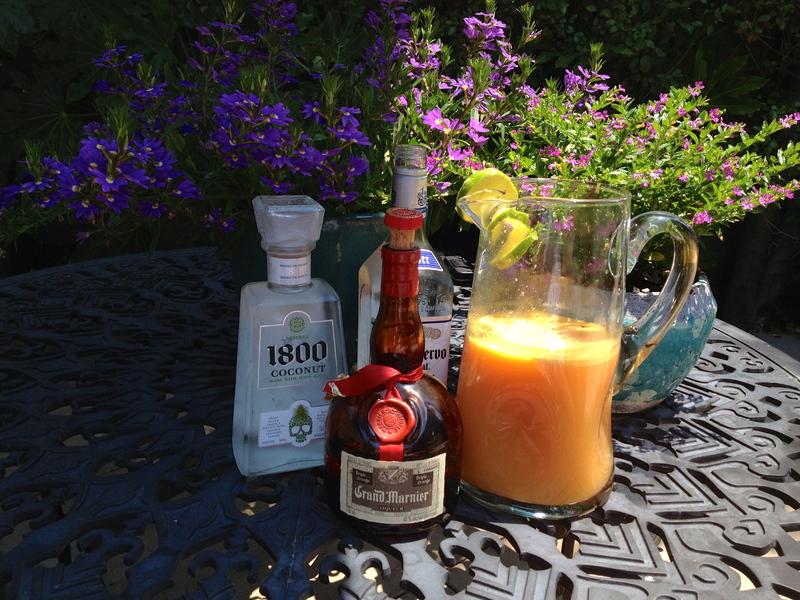 And of course no girl day or summer pool party is complete with out a fresh cocktail! We wanted this one to be an original, so some brainstorming and experimenting took place! To begin the creation process some serious supplies was needed! 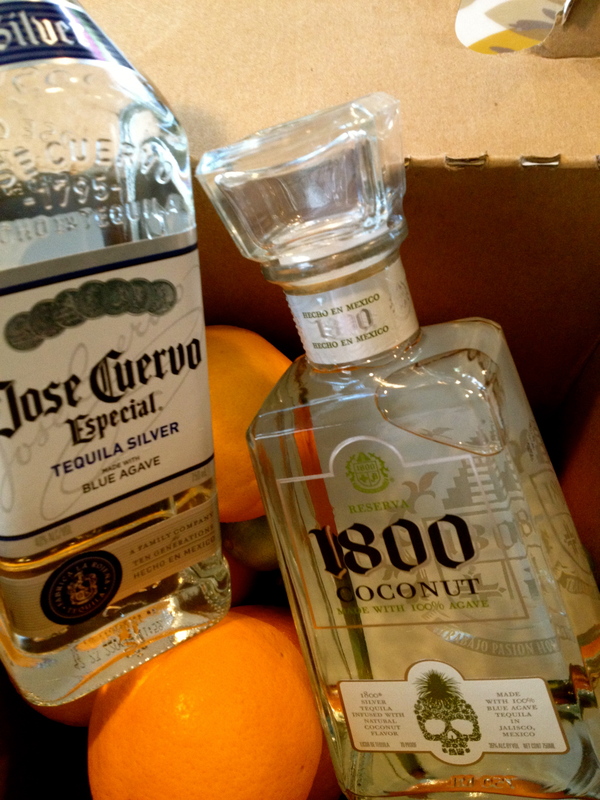 Our alcoholic preference was: Jose Cuervo Silver Tequila, 1800 Coconut (delicioso!!) and some Grand Marnier! 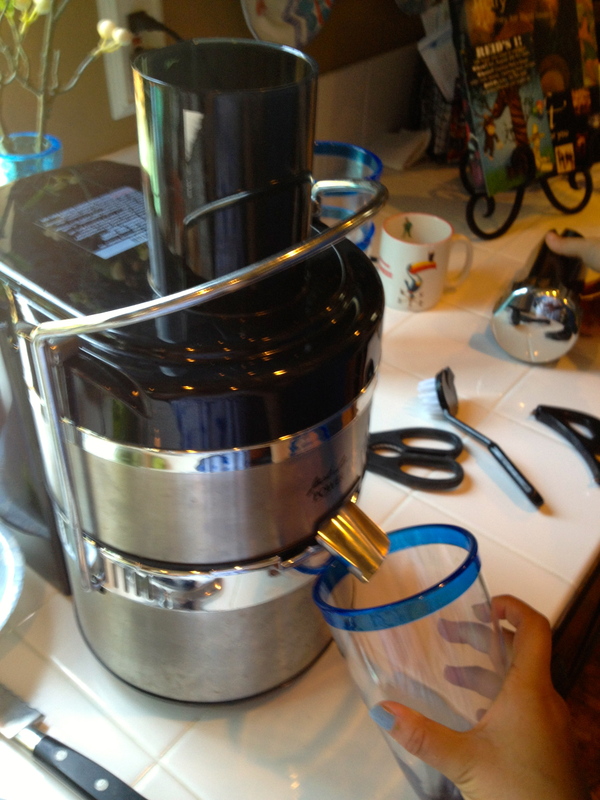 But before any alcohol was poured, it was essential to make the perfect fruit juice! 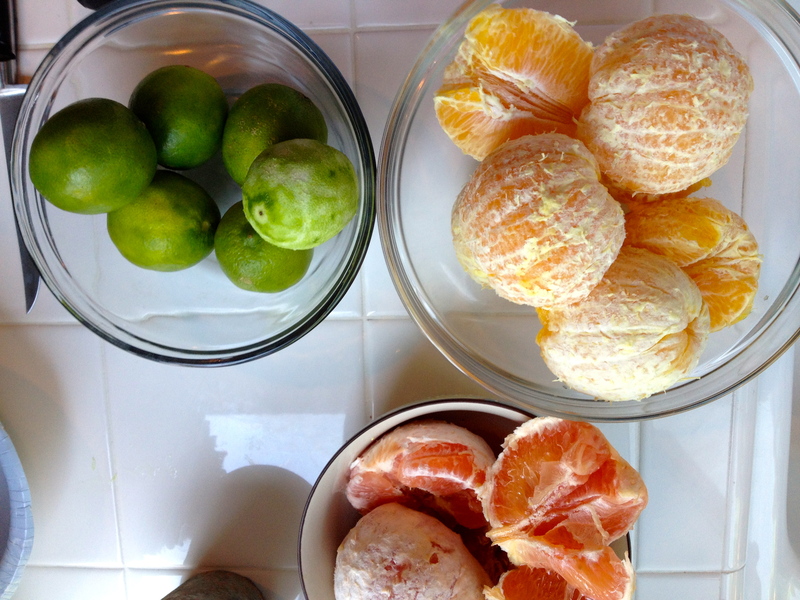 There was a great deal of pealing and skin shaving going on, but once that was finally completed, these beautifully colored fruit were tossed into the juicer to make 100% grapefruit juice, orange juice, and lime juice! 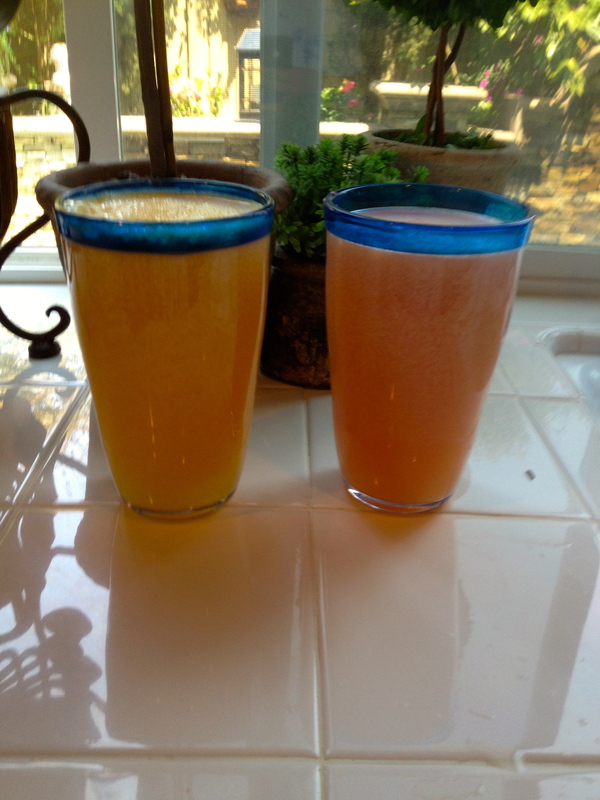 Into a big pitcher we poured precisely 3 cups of grapefruit juice, 2 1/2 cups of orange juice and about 1 1/2 cups of lime juice (add or subtract to taste 🙂 ). We all loved the tartness the grapefruit and lime brought out in the juice! But if tart isn’t your thing, adding some Agave Nectar would sweeten the mixture right up! Because some of the mamas were not too keen on drinking at 12:00 pm in the afternoon 😉 we kept the juice alcohol free and made a little bar outside! The juice was yummy on it’s own, BUT just to add a little kick… I completed my drink with ice filled to the brim, 1 shot on silver tequila, 1 1/2 shots of 1800 coconut and just a little splash of tonic water! For more sweetness, some Grand Mariner to top it off would definitely add a more orange-y flavor! 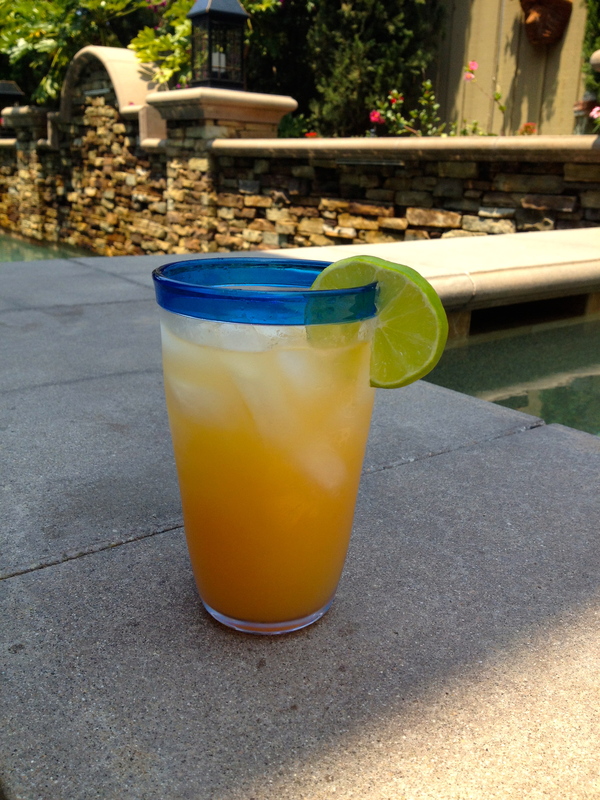 Such a fresh refreshment to sip poolside!! I am certainly no mixologist, but spending time in the kitchen with my sister and cousins, brainstorming and experimenting was almost more fun than actually soaking up the sun and enjoying the finished product. I encourage all of you to bring out the inner bartender, take out that measuring cup and see what you come up with! But just incase you want to whip up one of these bad boys, here is what you need!